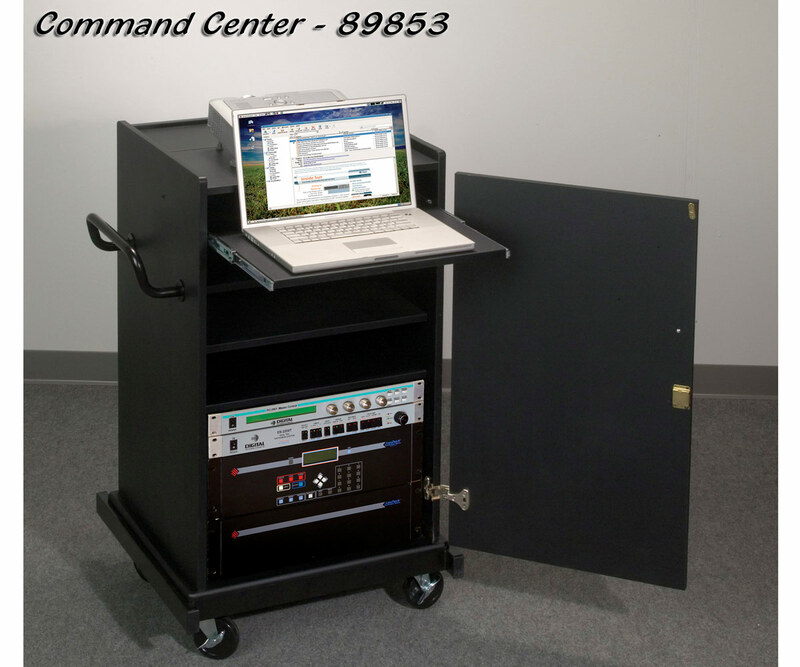 Balt's Command Center is a perfect piece to accommodate and store all of your audio visual equipment. 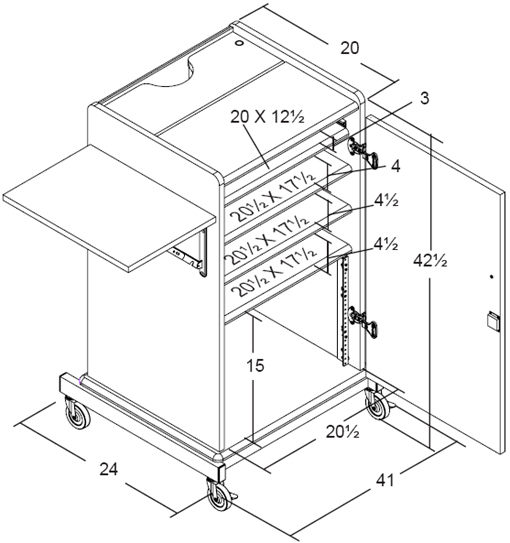 Overall dimensions of top of the unit measure 22"W x 20"D and feature a 7"D locking lift lid with cutout for access to cables. 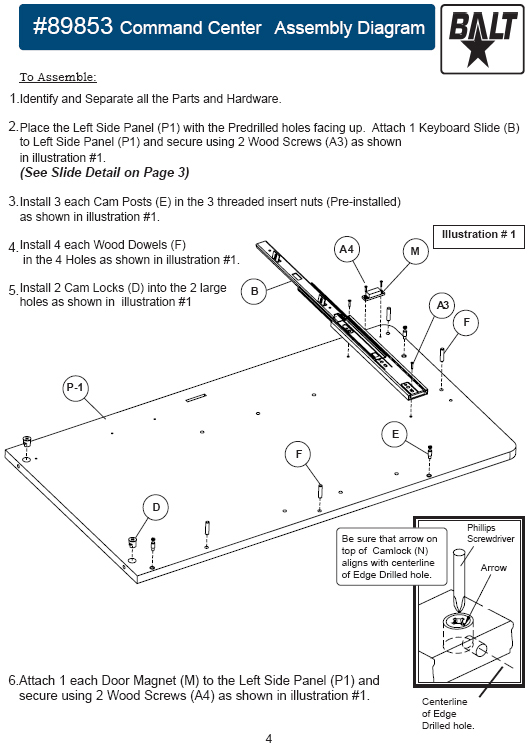 20"W x 12 1/2"D retractable keyboard shelf for laptop. 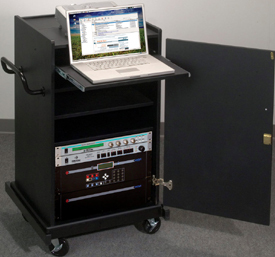 Stationery shelf measures 20"W x 17"D with 3 1/4" clearance below keyboard shelf to hold optional electrical surge protector and cords. Two additional stationery shelves measure 20"W x 17"D with 4 1/2" clearance between to securely store equipment when unit is not in use. 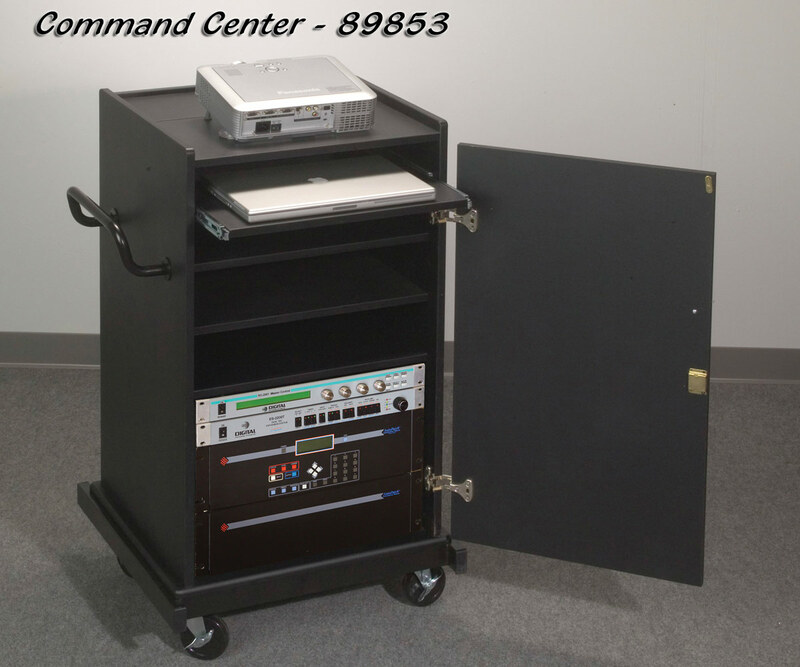 Racks for rack mounted equipment measure 20"W x 19"D with 14 1/2" clearance under bottom shelf. 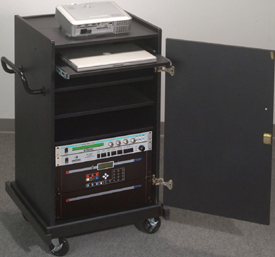 Foldable side shelf for document, camera or additional equipment. Side magnet secures door to open position when unit is in use. Door securely locks when not in use. 4" casters (2 locking) and handle for mobility. Black laminate with black frame.